I finally bought a new pair of pointe shoes after 3 years! It was in the year 2012 when I declared that my pointe shoes was dying. She was in a critical condition and was almost dead. 3 years after, I finally freakin' bought a new pair of pointe shoes! WOOOHOOOOOO!!! I was the happiest kid that day and I can't hide my feelings even up to this day! I loved her very much. I mean, she was a very precious pair as I used her for so many memorable and special performances of my life namely, for David Archuleta, for Michael Christian Martinez, for the Trishie Couture Fashion Show Grand Launch, for my Ballet Manila Audition, and so much more. Even though she was dying, she never failed to support my feet. That's why I was a bit confident that Bloch maybe is my trusted brand. :) But I bought a local brand. So here's the story. 2 days before my grandmother's 80th birthday, I bought a new pair of pointe shoes. I wanted to have a new pair for my dance. Posted an update on my instagram here. My mom saw ballet essentials at Yvonnes inside SM Dept. Store at SM Mall of Asia. And she texted me. haha. I intended to buy a new pair 3 days before but unfortunately, the branch where I went to no longer offer pointe shoes. Mommy saw the ballet flats on display. She thought it was pointes. So I went to MOA, met her there, then we went to the shop together. But they told us to go to their main branch at SM North Edsa. I ended up buying a convertible tights instead that day. You know that feeling of being so excited for one thing then it crashes you hard because it didn't happen? I felt that way that day. The next day, I went to Yvonnes' main branch at SM North Edsa with my friend, and FINALLY! I got hold of a new pair of pointe shoes! huhu. I'm so happy. :-) However, I was planning to buy Bloch, or even try Grishko and Capezio brands. But to my surprise, the shop doesn't offer other brands other than their brand. I thought all ballet shops offer all kinds of brands like That's 'D Pointe Dance Shop. But I was wrong. sorry. hehe. Anyway, the sales ladies were so nice! I love the service. However, if it's your first time on pointes, I don't recommend them. 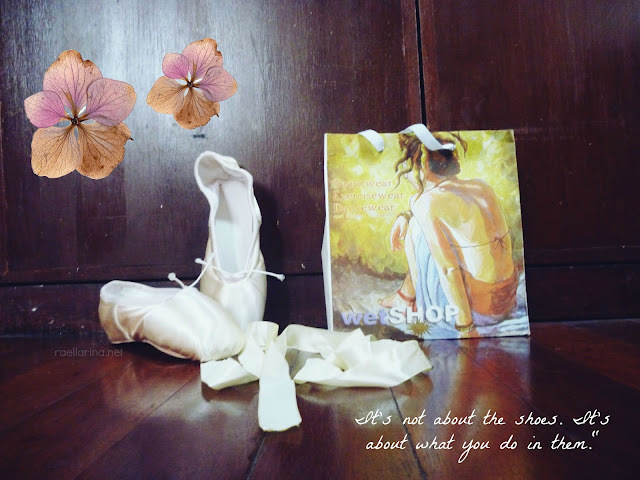 They don't do pointe shoe fitting (based on my experience). 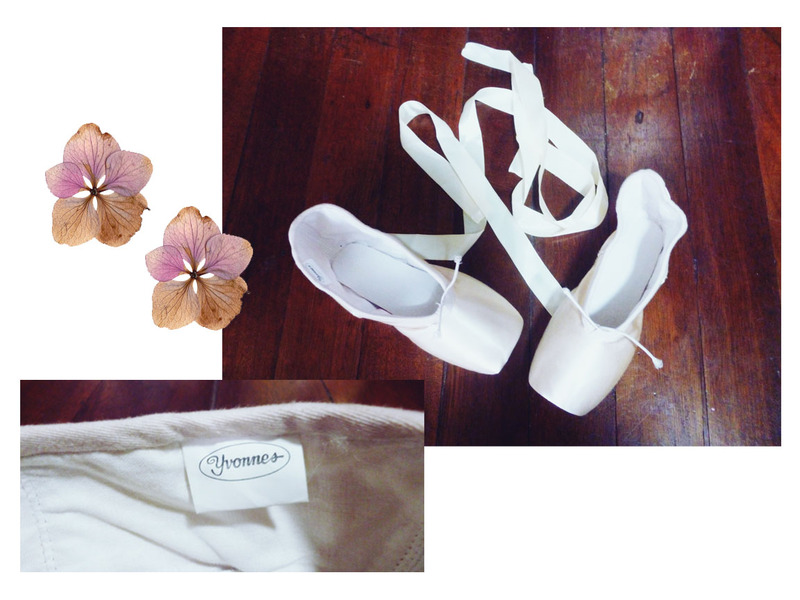 But if you already know your size like me, then Yvonnes pointe shoes is a brand to try out. I bought my pair of size 24 1/2 for Php 1,999.75 only! Cheaper than most international brands which range from Php 3000-5000 or up. I can't tell if the brand is okay or what as this is my first time using them. But I will do a review sooner or later. Great blog.. I love ballet! your new pointe shoes are very cute...but I'm sure you will also cherish the old pair you have because of all the memories! Genial, me alegro por ti!!! There is nothing worse than showing up somewhere and finding they don't have what you want. Luckily it all eventually worked out well for you. I hope these new pointe's will be amazing! I love shoes <3 cool!